In honor of the 50th anniversary of C. S. Lewis' death, celebrated Oxford don Dr. Alister McGrath presents us with a compelling and definitive portrait of the life of C. S. Lewis, the author of the well-known Narnia series. For more than half a century, C. S. Lewis’ Narnia series has captured the imaginations of millions. 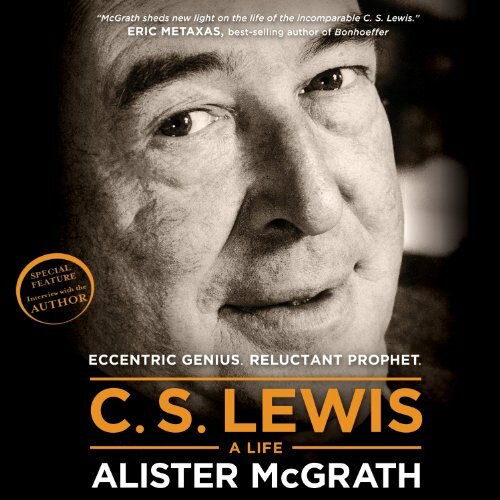 In C. S. Lewis - A Life, Dr. Alister McGrath recounts the unlikely path of this Oxford don, who spent his days teaching English literature to the brightest students in the world and his spare time writing a best-selling fantasy series for children. Dr. McGrath uses his extensive research and thorough examination in chronological order of Lewis’ correspondence and archival materials to present a new picture of Lewis’s life. This definitive biography paints a portrait of an eccentric thinker who became a compelling, though reluctant, prophet for our times. You won’t want to miss this fascinating portrayal of a creative genius who inspired generations.